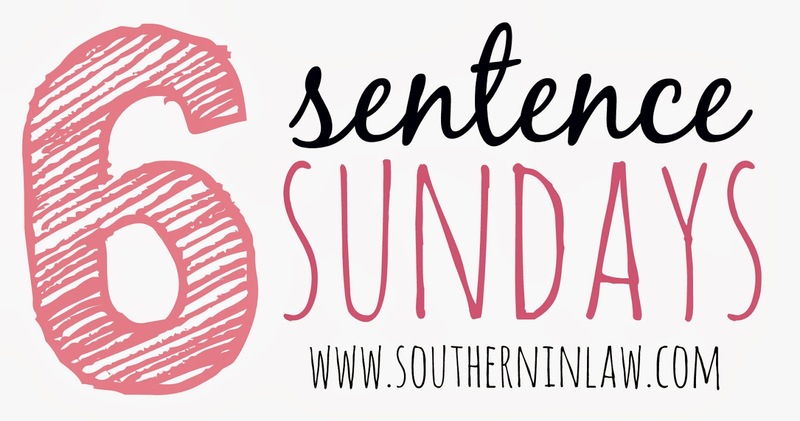 Another week and another Six Sentence Sunday! - Feel free to join me in the comments below or on your own blog! This weekend has been crazy busy, but super productive. Our Friday night was spent at youth group, followed by a focus group for our church challenge weekend with Paul Borden and then Saturday was spent back at the church for church growth training - and we're just about to head out the door and back to the church for our Sunday service! I am super excited for tonight's movie date night with my Husband! Lately I've been eating breakfast twice a day whenever I'm at home - breakfast for breakfast and breakfast for lunch - obsessed. There's two ripe bananas in our fruit bowl and I have a random desire to try my hand at making a banana cheesecake, so that is totally happening this afternoon. Operation clean out the freezer has gone so well that I now have to restock said freezer - let the baking begin! But what about you - tell me about your weekend in six sentences! What's your favourite meal of the day - breakfast? lunch? dinner? dessert? What are you looking forward to most in the coming days? I'm really looking forward to Greg's parents coming tomorrow and our 2 year anniversary this Monday, which we'll probably spend overnight somewhere apart from home. :D Have a beautiful Sunday and God bless you guys! Haha I was randomly thinking about different cheesecake flavours and I saw the bananas in our fruit bowl and thought "bananas..... cheesecake.... banana cheesecake.... oooooh yes I have an idea"
How exciting will the week ahead be for you! Today (Monday) is my parent's 30th wedding anniversary!